Always felt that you'd look great with a beard? 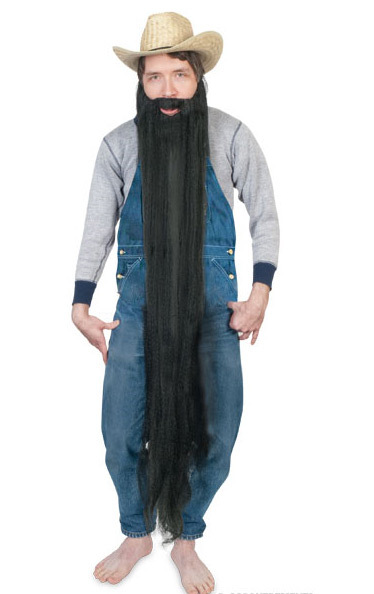 An outrageously, super-long beard? It's time to find out with the World's Longest Beard! Snuff out the curiosity and get a load of yourself in this four-foot, mountain man's special. The World's Longest Beard is made of a draping cascade of synthetic hair, sure to make the boys in ZZ Top envious. Don't underestimate the power of beard that can tickle your ankles! The ladies won't be able to resist a fella that will sweep the floors every time walks through the house! 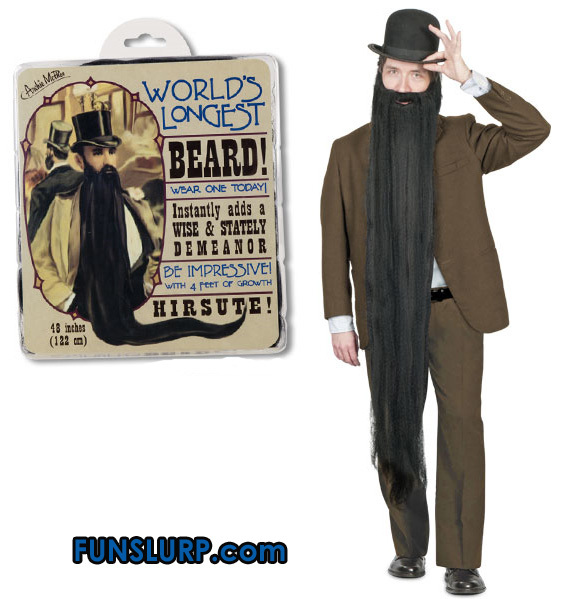 Each World's Longest Beard measures 48 inches and comes with an adjustable strap, so every man, can have the chin warmer he longs for.